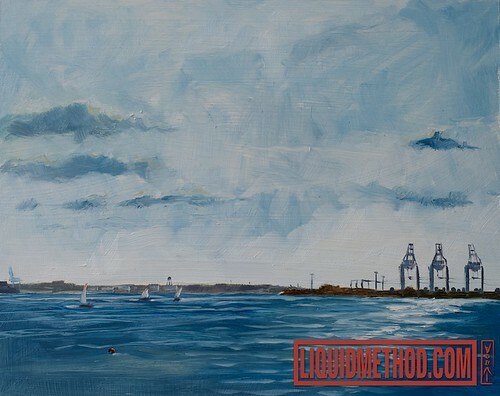 Second in the Series of the Norfolk Yacht Club Plein Air, originally uploaded by Liquidmethod. This one was kind of tough, visually seeing that is. I tried to shade my painting by facing it against the late afternoon sky. BAD IDEA. My eyes hurt, and my color and tone was difficult to get when mixing the paint. After painting in the sun twice during plein air events, I've resolved to try really hard not to do that again.